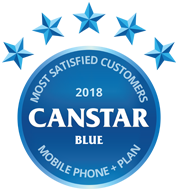 Canstar Blue’s annual review of phone plan providers compares Vodafone, Optus and Telstra on their customer service, value for money, network coverage, billing, plan flexibility, sign up & activation and overall satisfaction. Vodafone has beaten out fierce competition from Optus and Telstra to earn Canstar Blue’s customer satisfaction award for mobile phone plan providers in 2018. When it’s time to choose a new mobile phone plan, you have a few different options, including SIM-only prepaid and postpaid deals on either a monthly or contract basis. However, by far the most popular way to get connected is to get a plan that includes a new handset, be it the latest iPhone, Samsung Galaxy, or other leading brand. The advantages are obvious, as you can slowly pay off the cost of the handset until you own it outright, while enjoying unlimited talk and texts and a bag full of data. You can also score great bonus features, such as unmetered video or music streaming, free subscriptions to various services, or international call inclusions. However, these phone plans will usually only be available over 24 months, and cost a packet, so you’ll want to choose wisely! 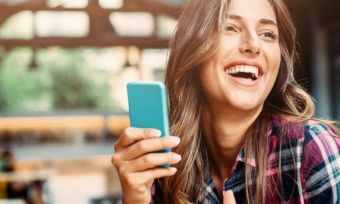 That’s why Canstar Blue produces an annual review of mobile phone carriers, to find out what Australian users think of the services they provide. We review every aspect of their plans, from the initial sign up & activation process, to the customer service experienced, network coverage, billing information, plan flexibility, value for money and – ultimately – overall satisfaction. This review focuses on the big three mobile carriers – Vodafone, Optus and Telstra. However, it’s worth keeping in mind that other telcos, most notably TeleChoice, Woolworths Mobile and Southern Phone, also provide the chance to bundle in a new handset with a plan. Vodafone replaces Virgin Mobile at the top of the standings after the Optus network carrier was closed down this year. Vodafone led the charge with five stars overall, with top marks in customer service, value for money, billing, plan flexibility, and sign up & activation. Optus achieved four stars overall, but notably earned five stars on value for money and sign up & activation. Telstra received three stars overall, but was the only provider to record top marks on network coverage. Below is a quick glance at what you’ll pay for the cheapest phone plan from each provider, with unlimited talk and text and at least 2GB of monthly data. Listed in order of price, these plans can be bundled with various smartphones. Costs do not include any handset repayments. You can compare a wider selection of plans from each of the three big telcos below, but if you’re looking for an affordable handset and phone bundle, you may want to go for a lesser-known brand. 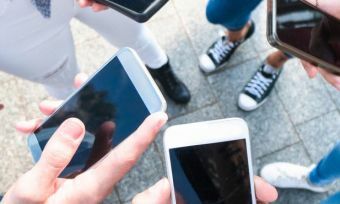 While Vodafone, Optus and Telstra are clearly the big three when it comes to new handset phone plans, it’s always worth considering some smaller providers, too. While most small carriers only operate in the SIM-only space, some do provide the opportunity for customers to bundle a handset as part of the deal. Below are the cheapest plan options from these three providers, not including device payments. 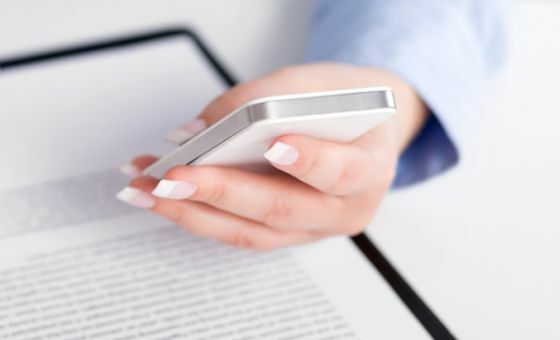 Read on to compare phone plans from Vodafone, Optus, Telstra and more. Vodafone is rather unique among the big providers in that it has separated the plan from your phone repayments. This means that the only contract you’re tied into is repaying the phone, over 12, 24 or 36 months. Your actual mobile plan itself is not on a contract, so you’re free to switch Vodafone plans as needed. Vodafone ‘Red’ plans start at $35 per month, for which you get unlimited calls & texts plus 2GB data (with bonus data frequently offered). Prices for the iPhone XS 64GB start at about $102.50 per month in total over a 24-month contract ($35 plan plus $67.50 phone payment). Keep in mind you can elect to pay more per month over a 12-month contract, or less over a 36-month contract – the end result is the same. As Vodafone is a global phone company, it’s perhaps a no-brainer that its main bonuses centre on international calling inclusions, as well as roaming features. Also expect huge data bonuses from time to time, as well as generous student discounts. Vodafone has also teamed up with Qantas to deliver bonus frequent flyer points to members. Telstra is generally the priciest of the providers in this review, but the big blue telco more than makes up for this in its range of perks. The cheapest handset plans are around $59 a month, in which you get unlimited calls and texts plus 3GB data. Bundling in the iPhone XS 64GB on a lease plan will cost $104 per month at minimum ($59 plan price, plus $45 device lease payment). If you would prefer to own the device, you’ll pay $114 per month for the iPhone XS 64GB ($59 plan plus $55 phone payment). More expensive plans generally attract cheaper phone repayments, with the phone coming included for $0 on dearer plans; for example, the iPhone XS is $0 per month on the premium $199 Ultimate Unlimited plan. Despite the $100-odd minimum price for an iPhone XS package, Telstra’s phone plans could deliver solid value in the shape of bonus features like Telstra Air hotspot data, meaning you can go further on your standard data allowance. Also included is data-free music streaming from Apple Music. You’ll also be able to get live mobile access to games from the NRL, AFL, Hyundai A-League and Netball, which is all available to stream data-free. Optus phone plans start from around the $45 mark, with variable rates for phone repayments. If you want a new iPhone XS plan bundle, for example, you can expect to pay from around $82 each month over 24 months on a lease plan ($45 phone plan plus $37 device lease payment), or $92 per month over 24 months to own your own phone ($45 phone plan plus $47 device payment). Plans start at about $45 a month, plus variable rates for the iPhone itself – which means that the cheapest service plan won’t necessarily be the cheapest package, once you factor in your phone payment. Generally, repayments for the phones get cheaper if you choose a more expensive plan, going up to $0 for a phone repayment if you pick the top-level plan. The plans may also be cheaper, or include more data, if you decide to lease the phone rather than buy. How do I choose a new phone plan? The handset you select (the latest models will naturally cost more). The plan you pick (i.e. the calls, text and data inclusions, plus other features). Your service provider (i.e. whether you go with Optus, Telstra, Vodafone or someone else). With the top smartphones, you’ll usually have to spend at least $70 a month for both the plan and handset. Each provider shines in different areas when it comes to plan inclusions, so let’s get a small glimpse of what’s on offer below. At a time when the SIM-only (bring your own phone) market is hugely competitive, with more than 30 different carriers all fighting for your business, the big providers need to offer some amazing deals to encourage consumers to sign up for two years. As you’ll likely be paying over $60 each month with these handset phone plans, you should also consider any bonus features on offer to sweeten the deal. These days, it’s all about who can deliver the best add-on features to accompany your shiny new handset. So, don’t just look for the cheapest prices – look for the offer that gives you the best value for your money, depending on your interests. Consider extra features such as music and TV streaming, international talk and text, free or discounted movie or sports tickets, bonus data and other perks. Unlimited talk and texts are basically the minimum requirement for most phone plans over $25 per month – the carriers need to do a bit more to impress, especially as phones are used for so much more than calls and SMS. If you’re comparing contracted plans, these are some of the features you’re likely to find. This has become another fairly standard feature of many phone plans, with the big providers allowing you to stream as much music as you please from selected services – without eating into your monthly data allowance. Vodafone gives you the option to add a music pass to the standard plans for an additional $10 a month to access data-free streaming of Spotify and several other music apps. If you’re on a plus plan, as your data is unlimited but at a slower speed, you won’t need to add on a pass. 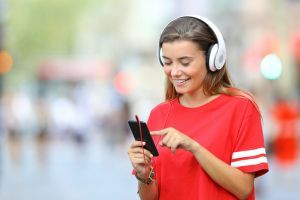 Optus users on selected plans can also stream as much music as they like from Spotify, Google Play Music and iHeartRadio without using their mobile data. This might cost you an additional $5 per month depending on which plan you choose, otherwise you might get it as a free extra. Telstra offers data-free streaming of Apple Music. Plans with unlimited data or ‘peace of mind’ data would be able to stream any of the apps without worrying about data use. The way that Australians watch their favourite TV shows and movies has changed significantly since the arrival of several subscription video on demand services, most notably Netflix and Stan. Now all major TV networks have their own online catch-up services and consumers are used to being able to watch TV shows and movies on the go via their mobile. 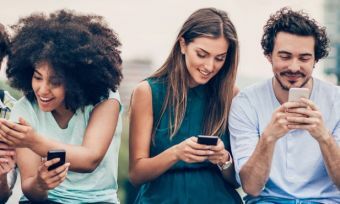 Mobile plan providers have responded to this by introducing data-free streaming and even free subscriptions to the platforms from time to time. Vodafone like with music streaming, you can add on data-free video streaming for an additional $15 a month with Vodafone Passes. You’ll get data-free streaming of Netflix, Stan and Amazon Prime Video, but at a capped speed. If you’re on a plus plan with unlimited but speed-capped data, you won’t need to add on the pass. Optus is by far the most generous when it comes to data-free video streaming. Typically for an additional $5 a month, you can add on the Mobile TV streaming, which gives you data-free streaming of Netflix, Stan and the ABC’s catch up apps, including ABC iview, but at a capped speed of 1.5Mpbs. Some plans will including this for $0 when you purchase a plan online. Telstra provides live, data-free streaming of NRL, AFL, AFLW, A League and Netball leagues on most plans. The subscription is included, which is usually worth about $100 over the course of a year. Vodafone customers commonly receive upwards of 1000 international call minutes to selected countries, plus varying amounts of call time to several others, depending on the cost of the phone plan. The higher the plan, the more call value you’ll get. Optus customers on the more expensive plans get unlimited international calls to 35 selected countries. Other Optus plans come with a set amount of international call time to those same countries or none at all. Telstra offers unlimited international talk and texts to 15 selected countries on certain plans, while its most expensive handset plan does not limit which countries you can call. It’s also worth checking out what these providers can offer when it comes to taking your phone plan overseas, especially if you travel regularly. All three telcos have roaming packs for overseas use, with Vodafone arguably the standout for its ‘$5 a day’ roaming feature. Phone plans with 20GB of data or more are now common, so it makes sense that mobile users will go through months when they don’t use all of their data allowance. As such, data rollover is now a popular feature of many mobile plans, but some carriers are more generous with it than others. The same could be said about international roaming. Many providers are also teaming up with airlines to provide frequent flyer points. Additionally, if you’re a student, you also stand to save with discounts and in some cases heaps of bonus data. In any case, be sure to check out the small print of your contract if these factors are likely to be relevant to you. You may have seen that both Optus and Telstra have plans where you ‘lease’ the phone. Leasing a phone basically means you ‘rent’ your mobile, and can either hand it back at the end of your 24-month term, or upgrade to a new phone after a year for a nominal fee. While you don’t get to keep your phone, you do stand to receive either discounted phone plans or bonus data for your trouble. However, you do have to keep the phone in good working condition, as breaking it or cracking a screen likely attracts additional fees. 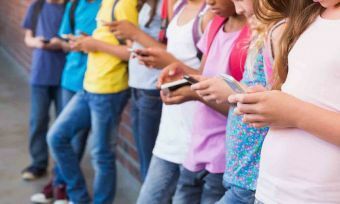 Despite the extra data and/or discounts, it may also be a hard pill to swallow having to hand your phone back at the end of the contract, especially if you tend to give your old phone to your kids or other family members. As such, we recommend you always check whether you’re about to sign a ‘lease’ plan or a ‘keep’ plan, as some providers don’t make it that obvious. Lease plans can suit some but keeping your phone at the end of your contract is always going to be an enticing prospect. If the deals seem unbelievable, then it may be worth double checking to see if it’s a lease plan. If you want a slightly cheaper plan: Vodafone is hard to ignore with its varying contracts. A 36-month plan is a long time to commit to, but it does reduce the monthly plan repayments. If you travel regularly: Vodafone is tough to beat here because of its Qantas Frequent Flyer partnership, in addition to its $5 roaming feature and international calls & texts. If you crave data-free videos: Optus offers a compelling proposition with included and data-free Optus Sport and a $5 Mobile TV streaming add on. If you love Aussie sport: Telstra is the premier provider here, with a range of the most popular leagues including the NRL and AFL, available data-free, on the go. If you’re addicted to football/soccer, like Premier League, Optus Sport is your best bet. If you love jamming to music: Both Telstra and Optus have good inclusions, it just depends on which app you use. Data-free streaming of Apple Music is available with Telstra, whereas Optus has Spotify, Google Play and iHeartRadio. If you already have a subscription to one of these, it might make your decision a bit easier. With such a large range of phone plans out there, there’s bound to be something for all of us. Bundling in a new handset with your phone plan is still a popular choice, even with the rise of cheap, SIM-only plans. Vodafone was rated five stars for overall customer satisfaction in our 2018 review, but all three big carriers have some appealing offers. It’s not an easy decision, but we hope this report has proved helpful. Canstar Blue surveyed 6,000 Australian adults across a range of categories to measure and track customer satisfaction, via ISO 26362 accredited research panels managed by Qualtrics. The outcomes reported are the results from customers within the survey group who currently have an active phone plan and pay the bills – in this case, 2,427 people. Brands must have received at least 30 responses to be included. Results are comparative and it should be noted that brands receiving three stars have still achieved a satisfaction measure of at least six out of 10. Not all brands available in the market have been compared in this survey. The ratings table is first sorted by star ratings and then by mean overall satisfaction score. A rated brand may receive a ‘N/A’ (Not Applicable) rating if it does not receive the minimum number of responses for that criteria.